With the exception of the Flying Dutchman, the Mary Celeste is probably the most famous “ghost ship” of all time. Launched in 1861, the brigantine already had a long record of misfortune when Captain Benjamin Briggs, his wife Sarah (“Sallie”), their two-year-old daughter Sophia, and an experienced crew of seven loaded a cargo of 1700 barrels of commercial alcohol in New York City and sailed for the Gibraltar Strait. On December 5, 1872, the abandoned ship was discovered adrift near the Azores. The cargo was nearly intact, the ship was fully provisioned, and aside from some water damage, the Mary Celeste was completely seaworthy. There was no sign of foul play, but one boat was missing, so what happened to her crew? Theories abound from the fanciful (sea monsters, giant water spouts, piracy, mass hysteria, an Atlantic earthquake) to the prosaic (alcohol fumes that forced abandonment). Every few years someone purports to have “solved” the mystery, but there’s enough margin for error that the legend lives on. References to the Mary Celeste show up everywhere–in Star Trek episodes, in sci-fi novels, in a Stephen King story, on film, and in various books, including Arthur Conan Doyle’s historically inaccurate J. Habakuk Jephson’s Statement, which was serialized in Cornhill Magazine in 1884. Pardon the longwinded introduction, but many of these elements make their way into the Valerie Martin’s fictional treatment of the Mary Celeste. Hers is a mishmash of history, faux memoir, speculation, and invention. She mostly deals with real historical characters, though she manufactures dialogue, circumstances, and motives. The first third of the novel, though necessary, is confusing so hang on to the ship's rails. Martin introduces us to the blended Gibbs/Briggs family–one in which sisters and spouses are often also first cousins. The Briggs part of the clan suffered numerous losses at sea long before young Benjamin took command of the Mary Celeste. In fact, the book opens with an 1859 wreck off the North Carolina coast that drowns Benjamin’s aunt and her sea captain husband, a foreshadowing of Benjamin’s fate and a life-changing experience for Sallie’s 13-year-old younger sister, Hannah, who cares for the sickly one-year-old nephew left at home. Spring forward 13 years. Hannah has disappeared, but Sallie is now Benjamin’s wife of three years and they (plus two-year-old Sophia) have sailed the world together. 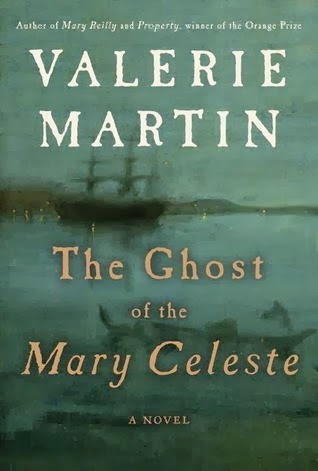 Martin cleverly connects their final voyage aboard the Mary Celeste and Victorian culture. The Mary Celeste cannot simply be an unsolved mystery within a culture as obsessed by the need to have a “good death” as that of American Victorians. The Civil War was both blood soaked and faith shaking in the sense that the bodies of many young men that died far from home were never identified or recovered. Spiritualism thrived after the war. How else would one know if Johnny died a good death if he didn’t come marching home? Swedenborgianism, Mesmerism, and séance leaders such as Cora Scott and the Fox sisters thrived during the late 19th century, especially among the middle classes that often became patrons for favored mediums. Martin asks us to consider an intriguing question. We know that most of those purporting to commune with the dead were as crooked as a snake on hot macadam, but does this mean all were fakes? Can we allow for the possibility that some people are more spiritually attuned than others, even if such individuals can’t articulate fully what or how they apprehend? Your answer to that question will determine what you think of frail spiritualist Violet Petra and of Phoebe Grant, the reporter who seeks to unmask her and ends up befriending her. Among those believing in Spiritualism and (maybe) in Ms. Petra is Arthur Conan Doyle. Doyle–who really was a Spiritualist–populates the novel first through contact with those who took umbrage with his mistelling of the Mary Celeste story, and again as an examiner of Violet Petra. In Martin’s book, Doyle is a bourgeois boor far removed from Sherlock Holmes’ intuitive skills or Doctor Watson’s charm. But can he, Petra, Grant, or anyone else unravel the Mary Celeste mystery? Martin’s novel is ambitious–often overly so–and one certainly takes a risk when assigning fictional events and thoughts to well-known historical people. When this novel works best, Martin conjures images plucked from Tennyson, Melville, Stephenson, and Conrad; when she misfires, the novel drags under the weight of contrivance and turgid prose. Mostly it works because the central mystery continues to intrigue more than 140 years after the fact. Does Martin solve that mystery? It would be wrong of me to say.